This was the size of the stalks at the beginning of the second season. They were tiny. I have signed up to participate in the Blogging from A to Z Challenge. The challenge is to write a blog post 26 times in the month of April, one for each letter of the alphabet. So, here goes! A is for asparagus. This was an easy one for me. Not only do I love asparagus, April is the season for asparagus. I planted one lonely little asparagus plant two years ago. Of course the first year there was nothing. Last year, at the beginning of the second season, I was thrilled to get some skinny little sprouts. They were too small to do anything with, but they gave me hope. This is the beginning of the third year and I actually have two spears that are big enough to eat. My question has been, do I cut those two spears and enjoy them, or do I let them continue to grow this year and hope that I have more next year? I really want to cut them, but what do you do with just two little spears? I did not grow up eating asparagus. My first introduction to the vegetable was, unfortunately, to the canned variety. 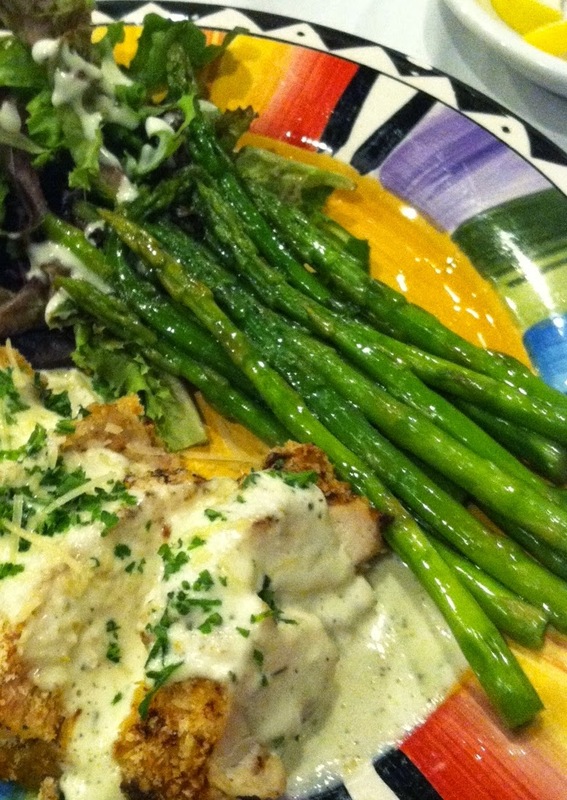 It wasn't until I grew up and had fresh asparagus that I knew what I had been missing. Canned asparagus and fresh asparagus are about as much alike as a plum and a prune. The only difference is I think some people actually like prunes. Where canned asparagus is mushy and tasteless, fresh asparagus is crisp and, well, fresh, embodying the bright essence of spring. We eat a lot of asparagus around here. My favorite ways to cook it are actually the simplest. I drizzle it with olive oil and sprinkle it with sea salt and freshly ground black pepper and then throw it on my grill for just a few minutes. It doesn't take long. I like the asparagus to cook long enough to be tender, but not floppy. I like for it to have some snap left in it. At the end, I squeeze from fresh lemon juice over it and if I am feeling really festive, I will grate some fresh parmesan over the top. We love asparagus stir fried with sugar snap peas and garlic. You just have to sauté the garlic in the olive oil until it starts to give off its aroma. Make sure you don't burn the garlic or it will get bitter. Remove the garlic and throw in the sugar snaps and asparagus into the hot, garlicky oil and sauté until the veggies are bright green and tender-crisp. I also like to roast asparagus in a hot oven with pine nuts and a drizzle of olive oil, salt and pepper, a sprinkle of lemon juice and, again, a dusting of parmesan cheese. 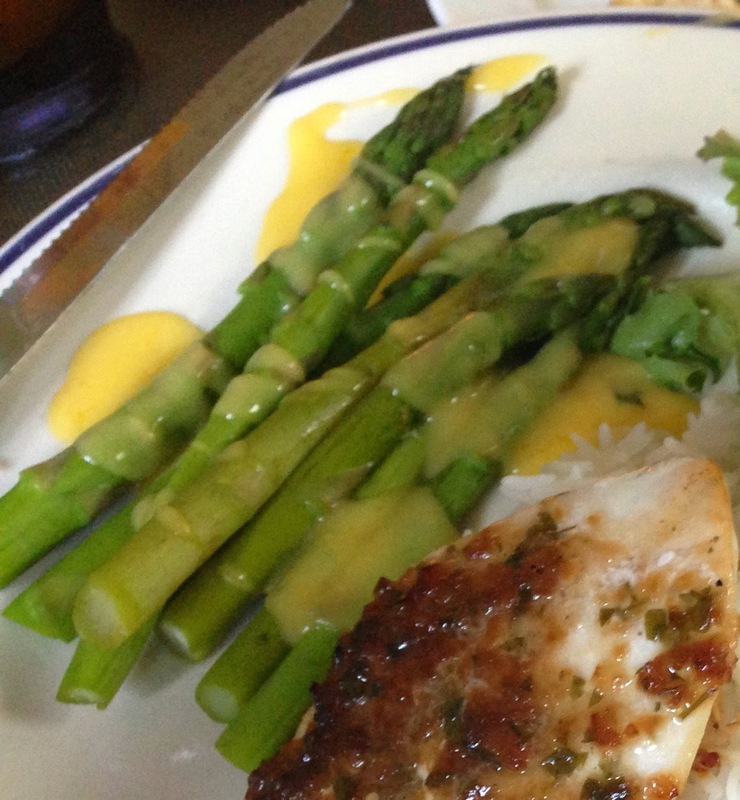 Asparagus is delicious with a light drizzle of hollandaise or lemon butter sauce. Spring is in the air! Start your's out right with fresh asparagus! 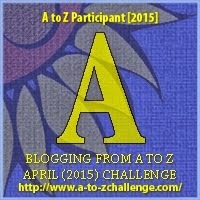 Visit more A-Z challenge blogs here. Love the name of your blog! Visiting from A/Z. I love asparagus. When we lived in Oregon (this would now be more than 20 years ago so things could have changed) we lived in Medford which is known for its pears. Harry and David originated from there. Anyway, they found out that asparagus is really good for the soil for growing pears so asparagus grew along with the pear trees. They didn't care if people came and picked the asparagus when it was "ripe". At a park where my kids would play, across the street from it lived an older lonely man. He would come over when the kids were playing and talk. He would pick the asparagus and often gave me some to take home. Delicous!! Cheers from a fellow A-Z blogger! I'm really hungry for asparagus now, which is one of my favorites. I prepare much the same way you do. Sadly, the first time I planted asparagus, I managed to plant it upside down. Don't ask. Best of luck with the A to Z Challenge. Cheers! Just hopped on to your blog from the #AtoZChallenge. Title of this article caught my eye. Love asparagus that's stir fried. Chinese cooked veggies are the best!